About a year and a half ago I was introduced to Katie Evans' first photography book The Key to Taking Pictures Like a Professional Photographer (you can read my review of that book HERE). It changed my life. Seriously. The book has had an unbelievable impact on how I capture life's important (and not so important) moments. I now feel very confident in my photography skills, and I have Katie and her book (and lots of practice) to thank for that. So when Katie contacted me a couple months ago and asked if I would review her newest photography eBook, The Key to Natural Posing, I didn't hesitate to say yes. 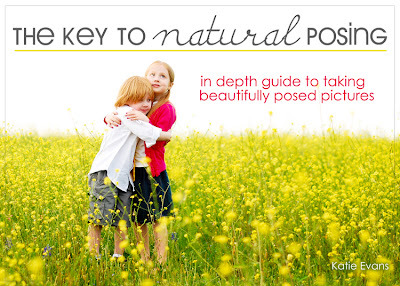 The Key to Natural Posing is a great guide. 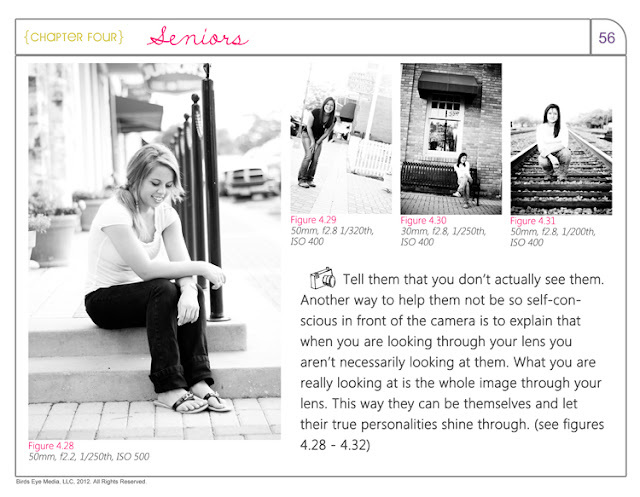 Katie includes tons of sample shots and the information she shares is so thorough and detailed. 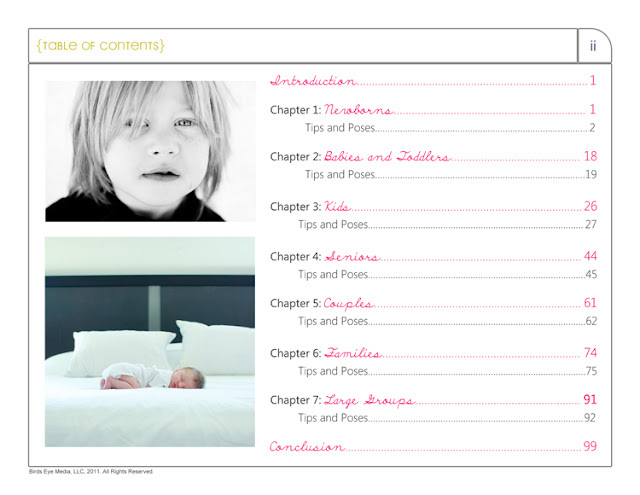 The book is 99 pages of valuable information on a wide range of subjects... photographing newborns, babies and toddlers, kids, high school seniors, couples, families, and large groups. My favorite chapter is the newborns. Oh how I wish I had this book when I had newborns to take pictures of! Katie has fantastic, easy ideas for getting those perfect, super-sweet photos. She also includes great tips on getting kids to open up in front of the camera. As Katie says in the book "... posing is not necessarily about telling your subject exactly how to stand and how far to tilt your head to the right. 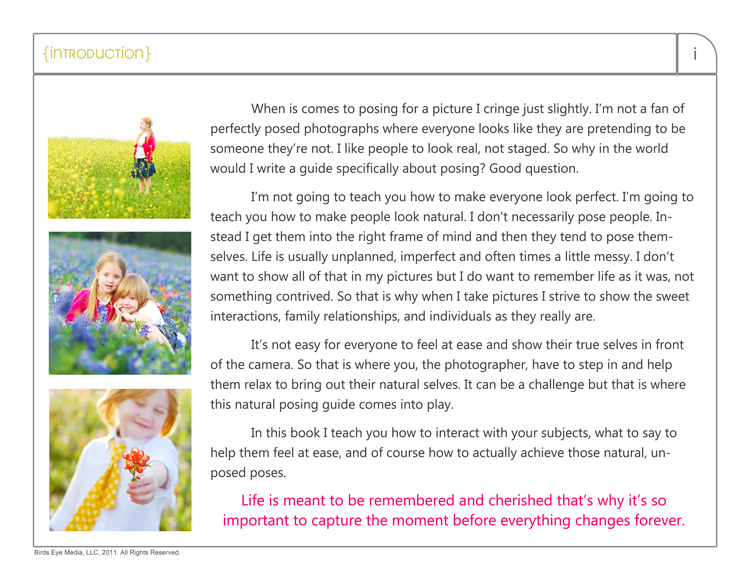 Natural posing is about knowing how to interact with and what to say to your subject(s) in order to get them in the right frame of mind so that they essentially pose themselves." Make sure you visit Katie's blog and Facebook page for even more photography info, tips, and ideas. One entry per person: Leave one comment on this post telling me your favorite person/people to take pictures of. It's that easy! You must be a 18 years or older to be eligible to win this prize. Leave an email address in your comment if your email is not attached to your Blogger profile. This giveaway will be open until Friday, October 19th at 10:00pm (EST). 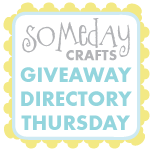 Winners will be chosen using a random number generator. Winners will be announced on Monday, October 22nd. One more awesome thing to share... All of Katie's photography books are on sale right now! Just enter "PHOTOBERFEST" at checkout to get 30% off. Click HERE to purchase. In the interest of full disclosure, I was given this eBook for free, but my opinions about this book and my rave review are all my own. Seriously... Katie's books are fantastic! I love taking pictures of my kids! I would LOVE this book! I have Katie's first book and it's wonderful! Ooohh! I was just looking at her books! I love taking pictures of my baby right now! oh my gosh- i so need a book like this. my wonderful husband bought me an slr for my b-day this summer. somehow i thought that a better camera would make better pictures. sigh... thanks for the chance. I love taking pictures of my 3 kids. They are active and fun, and really let their personalities show. I have two beautiful granddaughters I love to take photos of, as well as my own kids and all family. It looks like a great book! I enjoy taking pictures of my family! There's always lots of laughter in our "gatherings", so photos usually turn out pretty funny. Well I just take pictures, I don´t have any class about it. The giveaway is interesting. Right now, I take lots of pics of my two dogs, sometimes my hubby :) But now, with a baby on the way, I'm pretty sure that's gonna change! I LOVE to take pictures of my hubby, the kids and, of course, our pug! My favorite people to photograph are my kids... but my older daughter is definitely my favorite because she's the only one that doesn't have brown eyes, and the color of hers changes. My favourite people to take pictures of are my kids of course (the standard answer probably). But I could really use this book because I really really must learn more and get better at it. So ya, pick me!!! 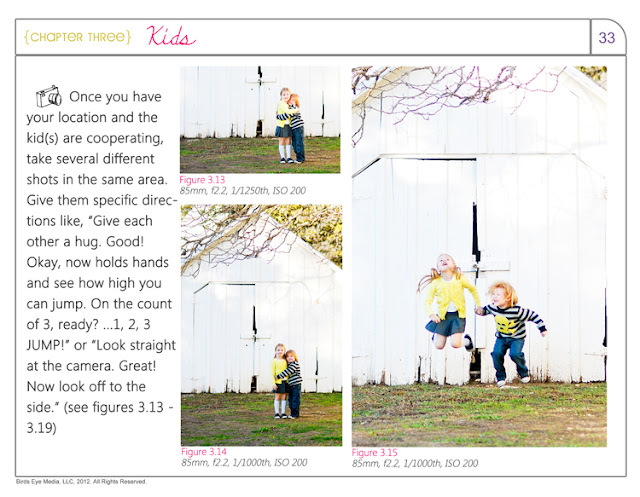 Definitely my kids are my favorite, and I am terrible at getting great shots- I really could use this book! I am always taking photos of my girls, but could use some help in the posing department. I would love to win! Photography is at the waaayyy bottom of my list of skills. I'd love to get better before my wonderful 2yr old nephew (and his parents) visits in February. Little ones make the best subjects! Of course, my kids! They are so funny. Did I mention that when my 2yo steals my point n shoot, she takes better pics than I do! Need this book! Baby Boy and my other kids are my favorite subjects! my children of course, at the moment baby girl - she's the easiest since she isn't mobile!